A 1988 Pontiac Fiero GT electric conversion will allow you to live your Tesla dreams back in time. 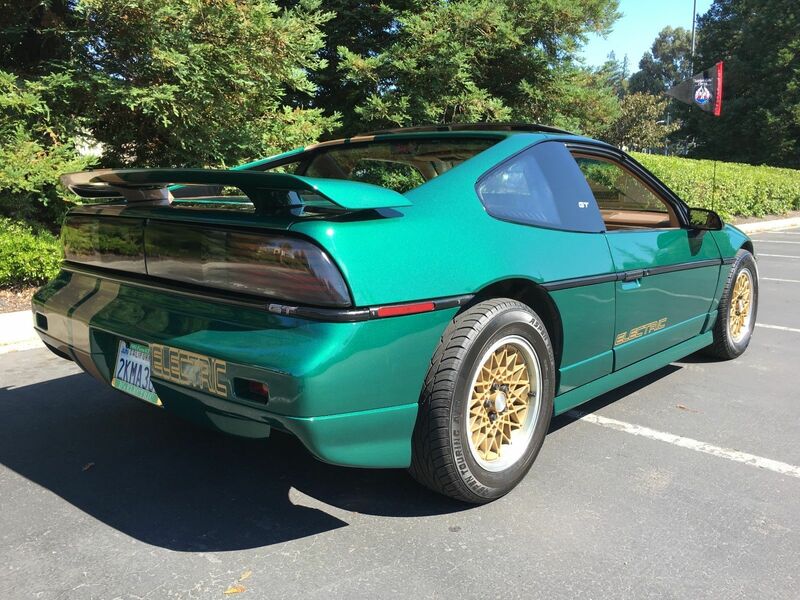 Continuing The Drive's love of eBay oddities, this week we are featuring an electric conversion Pontiac Fiero which popped up for auction. 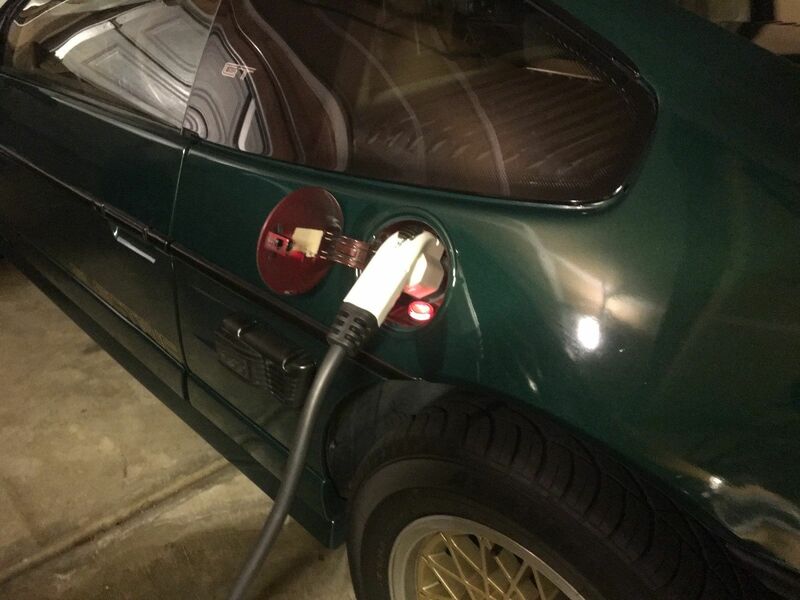 According to the eBay auction, the 1988 Pontiac Fiero GT, had its electric conversion completed in November 2011. It spent most of its time as a commuter vehicle since then, until recently amassing more than 63,000 miles while being electric. 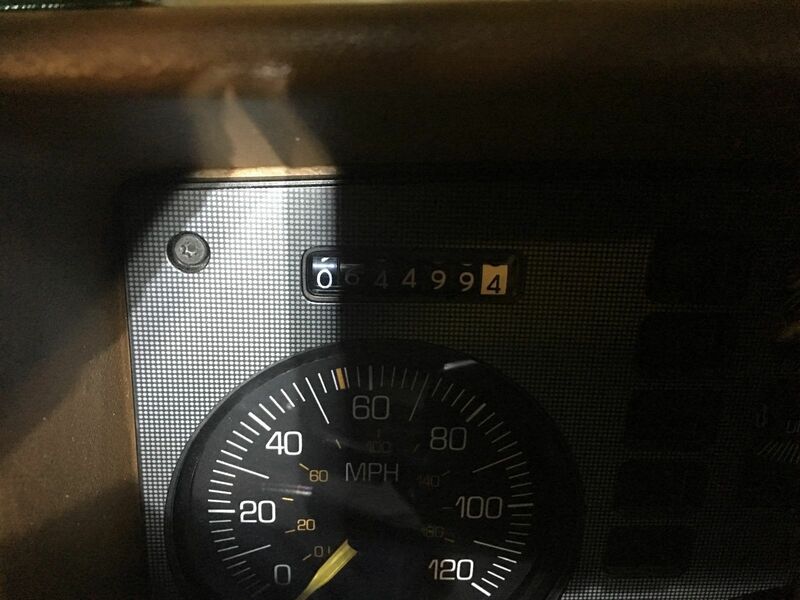 The odometer was reset to zero during the electric conversion. Before being reset, the odometer read 89,860. 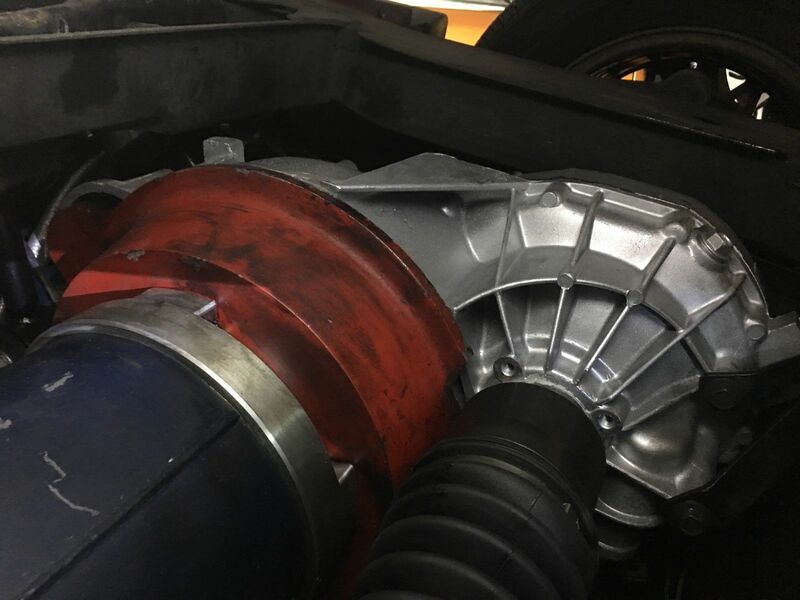 In order to do the conversion, a custom bellhousing was adapted to mate a HPEVS AC-50 motor to the original Getrag five-speed manual transmission. The electric motor puts out around 76-horsepower and 120 pound-feet of torque. 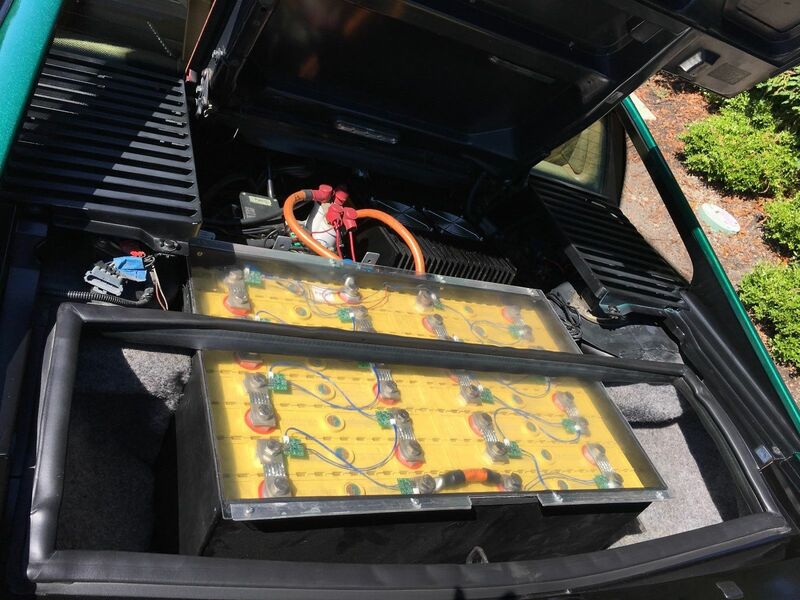 Also, according to the listing, in order to power the electric motor, the Fiero features a battery backfilled with 34 Thundersky 260 AH prismatic LiFePO4 cells which are all connected together. Not sure what any of that means except for some electric go. 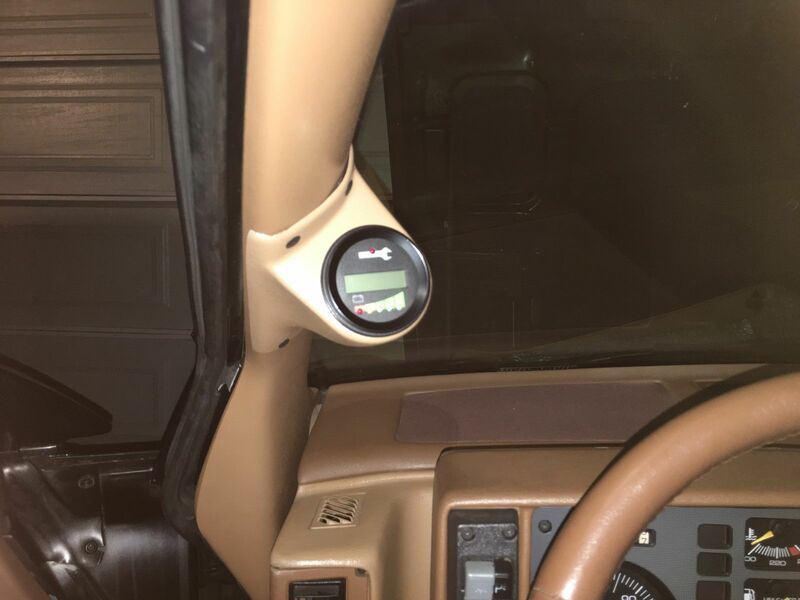 The eBay listing is extremely detailed if you want to nerd out more on the electric conversion and what powers the Fiero. The Fiero does have some damage due to driving into a down tree. Hitting the tree caused damage to the front and rear of the car. As of this article, the Fiero only has a high bid of $7995 with no reserve. With the world moving more and more to hybrid and electric vehicles, why not go backward in time to go forward in progress? Check out a YouTube video of the car below.